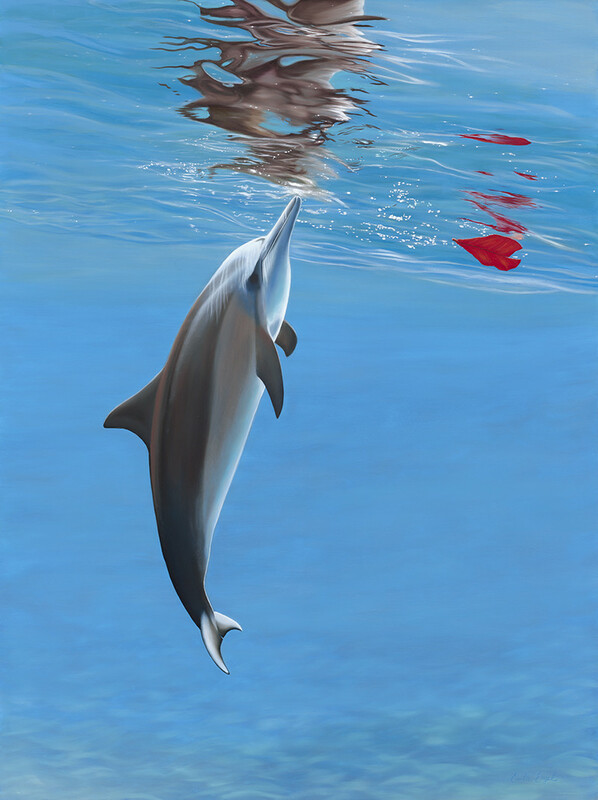 A contemporary realism oil painting of a vertical Hawaiian Spinner Dolphin, and a red Heart-Shaped Leaf. The water’s surface reflects the dolphin and leave on the water's surface on top of the blue ocean floor. Exhibited at the 12th Annual International Guild of Realism Juried Exhibition prestigious Winfield Gallery in Carmel-by-the-sea, CA.